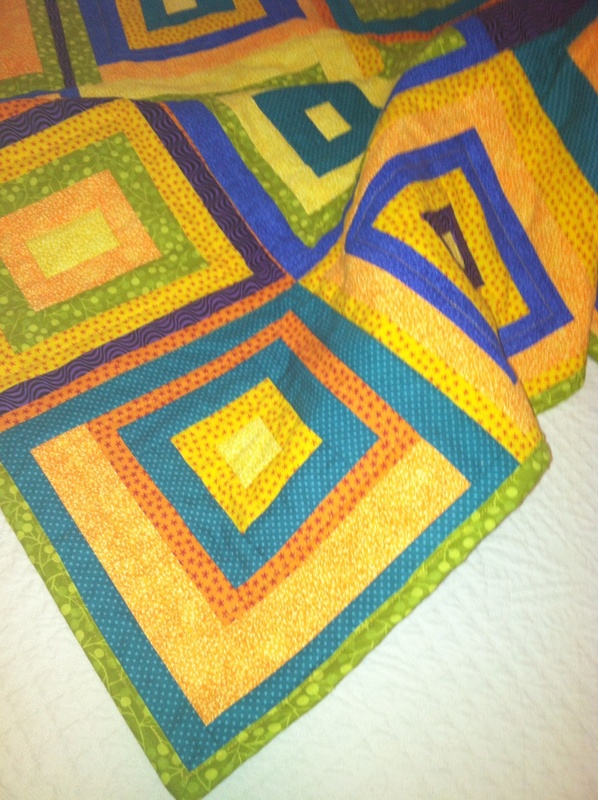 ← I Finished My Quilt! First, I went back to my free Craftsy class, Block of the Month 2012. There is a section on binding quilts. This is a great class taught by Amy Gibson who is very good. If you need more help, sign up, it’s free. 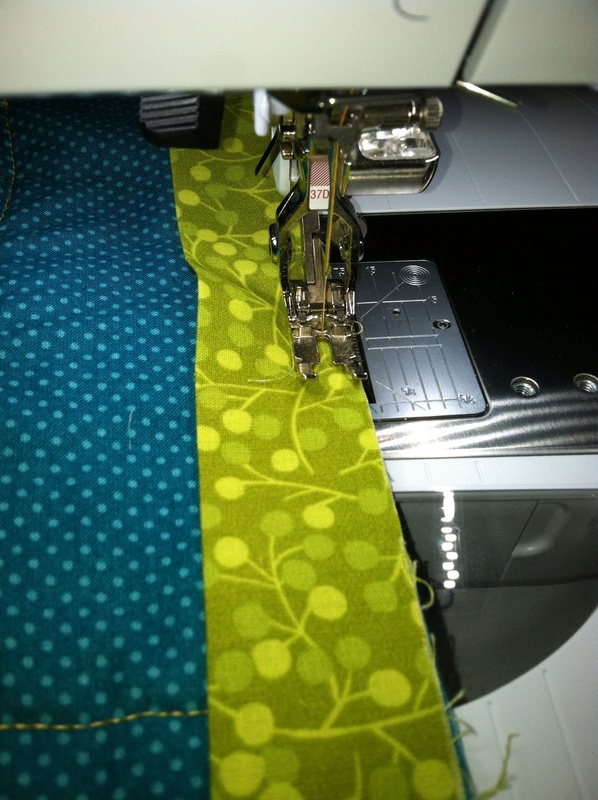 I cut 2.5 in strips of the pretty green fabric in the quilt. Amy shows you how to figure out how long you make your binding and a way to figure out how many WOF (width of fabric) cuts you will need. 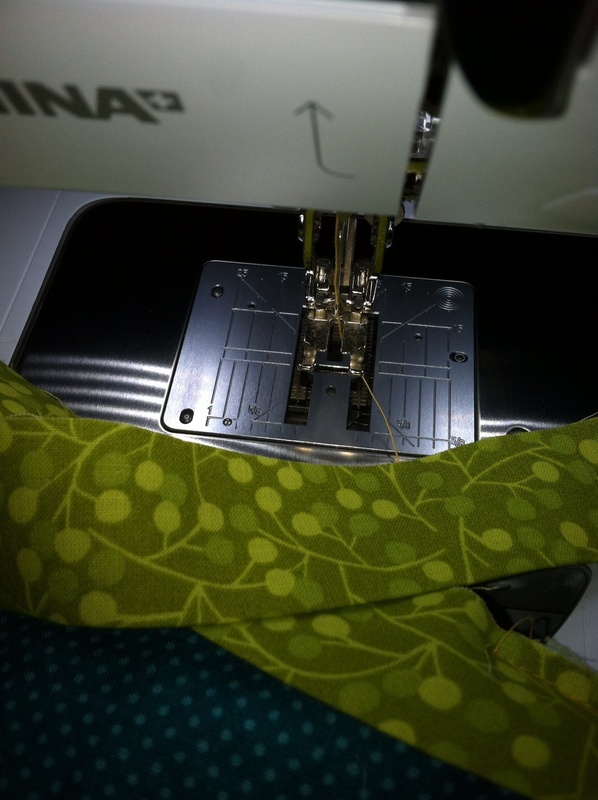 Next, I sewed the strips together and folded and pressed it in half lengthwise. 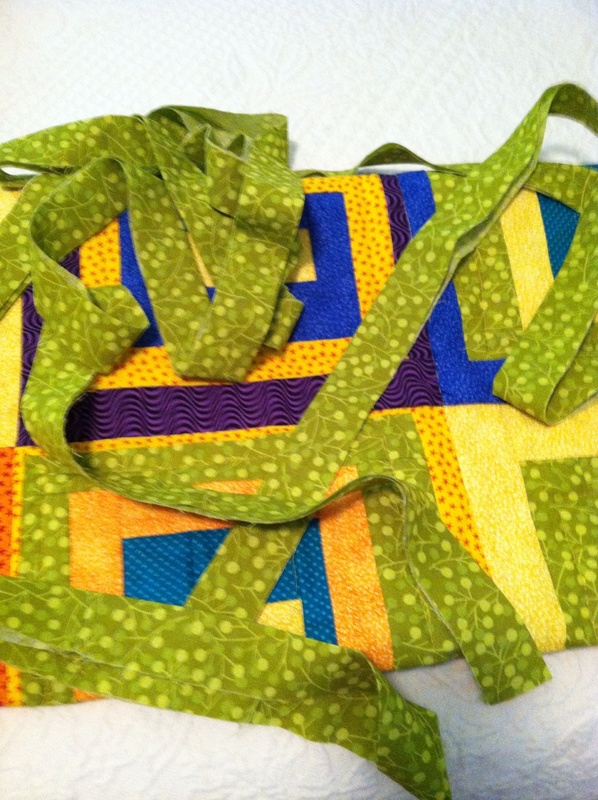 Then, I sewed the binding onto the front side of the quilt. Amy gives you great instructions on turning the corners to get a good mitered corner. Next, I used Amy’s technique to complete sewing the binding to the quilt. It worked real well. I’m sorry the next picture is so dark. It was night time when I took it. Then, I turned the binding over and sewed it on the back. That’s about all there is to it!! This entry was posted in Uncategorized and tagged Beginning quilting, Binding the Quilt, Craftsy, Modern Quilting, Wonky Log Cabin. Bookmark the permalink.